Gobble Calls There are 8 products. TWIST ON SILENCER RESTRICTS SOUND WHEN WALKING! 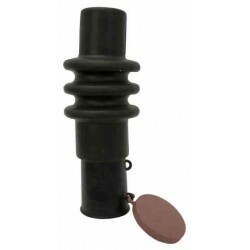 The Thunder Twister Gobble Call is the finest one-hand operated gobble call around. 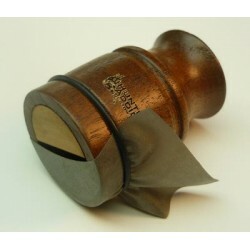 The camo-colored bellows features Infinity Latex. Delivers realistic sound quality and great volume. Twist-On silencer restricts sound when walking. GREAT SOUND! 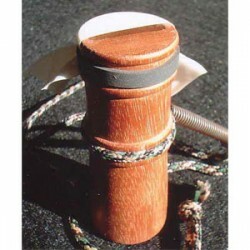 A Midwest Favorite Hunter's Addiction Walnut Tube Call is easy to use and sounds great. 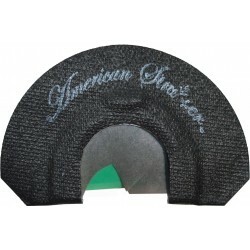 Small (1.35" x 2") Features include: finger groove, lanyard ring and internal baffle. Includes one reed and 'O ring'. Produces realistic gobbles. NICELY FINISHED! 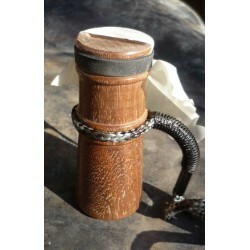 The L&L Honduras Mahogany Tube Call is cleanly turned, nicely finished 3 1/2'' mahogany tube. Yelps, clucks, keekees & gobbles. Includes lanyard. Call-maker Greg Longuillo says this about his calls ''I hand-make each call myself, so I'm sure you'll like the way they sound.'' His statement is an honest matter of fact. CHALLENGE THE OLD GOBBLER! 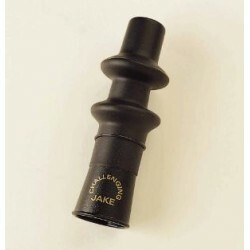 - Rubber Bellows - Latex Reeds - Double Reeded The Challenging Jake™ gobble call is a shaker call that has the high pitch gobble of a young jake. Remarkable sound quality and volume. Operable with one or two hands. Simple to use. Also makes a great locator call.